As well as contact centre. 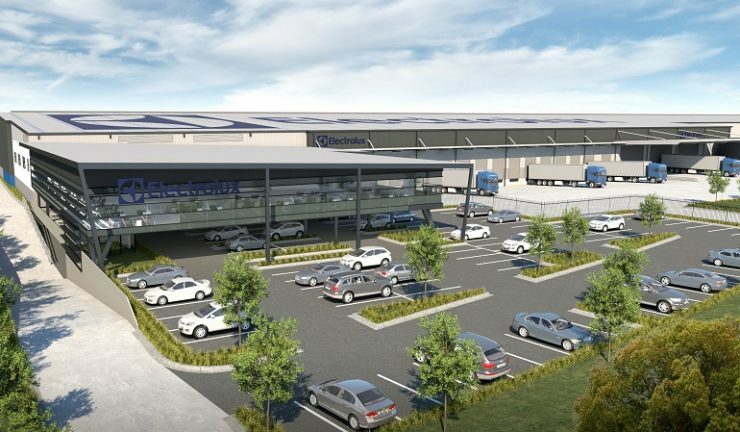 Electrolux Home Products (EHP) Australia and New Zealand will relocate its contact centre and NSW operations and sales division from Moorebank to a new purpose-built facility in neighbouring Casula in the second half of next year (2018). The 22,865 square metres of warehouse and office space in the Casula Homemaker Complex will be leased from AMP Capital for 10 years. EHP managing director, Mike Putt said the move was both strategic and necessary and gave the company an opportunity to design a showcase facility to accommodate the company’s future needs. “It is a superb location in Sydney’s expanding south-western suburbs and the growth businesses that we have bought in recent years require more warehousing and administrative space. At the same time, we have set ourselves targets to deliver a remarkable consumer experience in everything we do and we wanted premises that both allow us to do that and befit Electrolux’s position as Australia’s leading major appliances company,” he said. EHP has occupied the Moorebank facility since January 2007 and the forthcoming move follows the recently-completed Electrolux Experience Centre (EEC) in the Mascot head office which EHP moved into in November 2007.